On 18 acres of lush greenery and touting a playful personality, this couples-only resort is a brilliant balance of elegance and eclectic. Rekindle your spirit on the 2.5-mile crescent-shaped beach, and have an exhilarating marine life encounter while scuba diving. 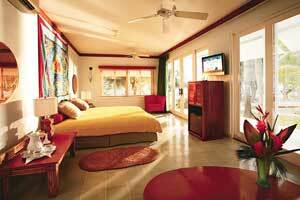 Travel+Leisure named it #8 on their “Top 25 Hotels in the Caribbean, Bermuda & the Bahamas” list in 2008. 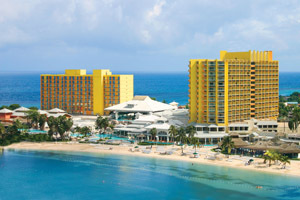 The popular all-inclusive Sunset Jamaica Grande celebrates its multi-million dollar rebuild and refurbishment, and welcomes guests of all ages with a fresh new look. 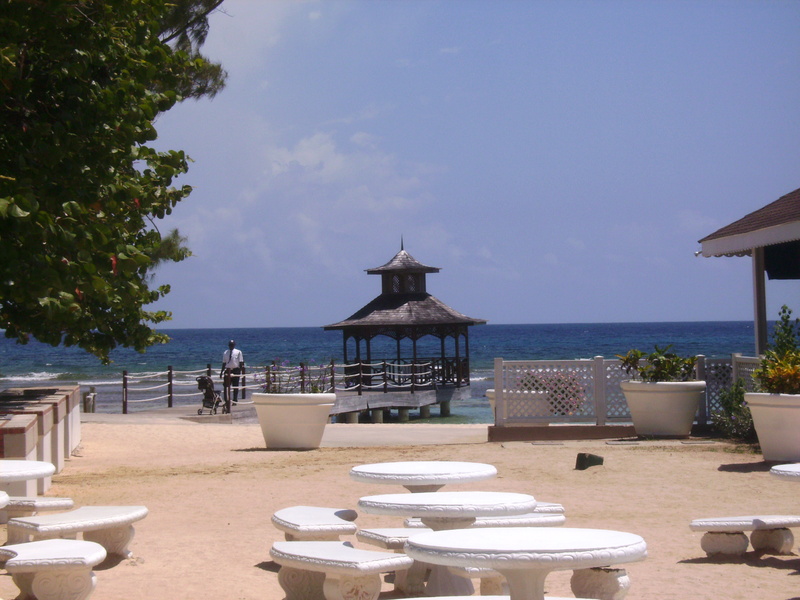 A beautiful white-sand beach, the longest in Ocho Rios, fringes the high-rise hotel. 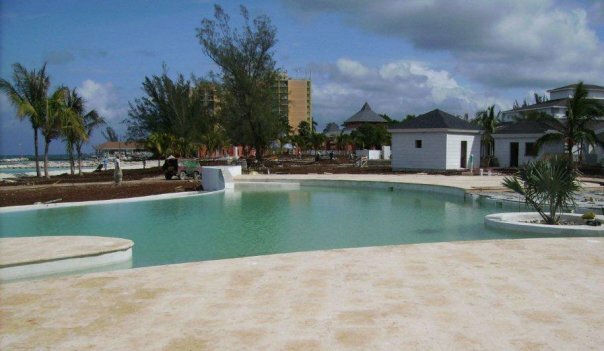 Five lavish pools wander through this beachside complex, featuring waterfalls, the new Lighthouse Waterslide, plunge pools, swim-up bars and a swaying rope bridge. Known for its wide range of “fun in the sun” daytime activities, guests can also enjoy an abundance of fun after the sun goes down. 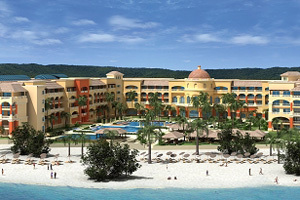 Visit the Sunset Jamaica Grande Resort and discover why Frommer’s proclaimed this dramatic family favorite to be “like a Hollywood production”. 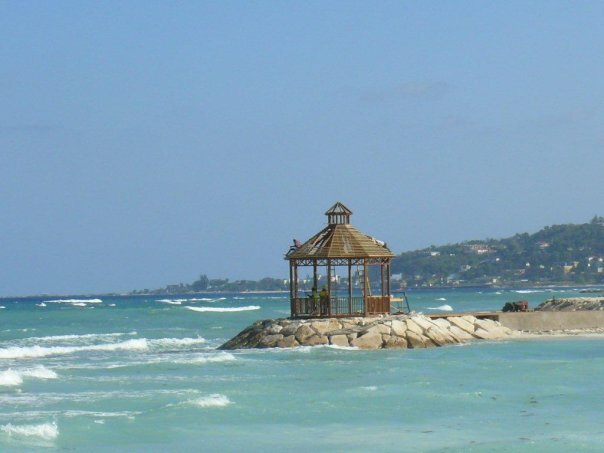 Enjoy the longest stretch of crystal-sand beach and turquoise Caribbean water in Ocho Rios where endless fun-in-the-sun is found. There’s nothing more romantic than exchanging vows in the Jamaican sunshine, then spending your honeymoon basking in the glow of wedded bliss on a gorgeous white sand beach. Best of all, experienced wedding coordinators take care of everything, so you don’t have to lift a finger until the ring is slipped on your finger and you say “I do”. They attend to every detail, from the ceremony, reception, photos and documentation to special requests and arrangements such as a sunset cruise and couples spa services. 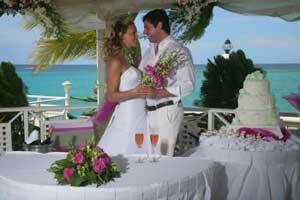 Sunset Resorts Complimentary Wedding Package includes a complete package for a ceremony and a reception for the bride, groom and two guests. Customize your wedding package with extras: Capture memories with a professional video/photographer and a wedding album, add spa and salon services, a live Jamaican Steel Pan or Reggae band, book a sunset cruise and much more. 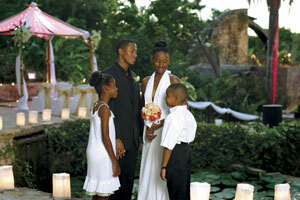 Special arrangements for larger parties can be made with your personal wedding planner. 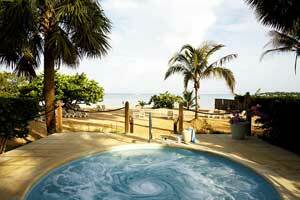 Renewal of vows and special honeymoon and anniversary extras are available. All packages are subject to availability and rates are based on two persons per room with a wedding reception for up to four people. 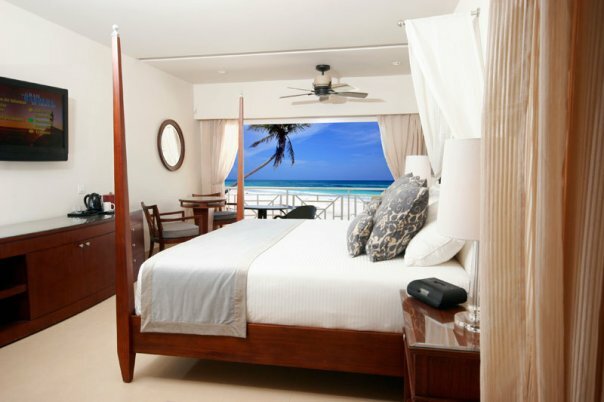 Reservation of an oceanfront room category or higher for a minimum of seven nights stay is required. Guests not meeting the reservation requirements still qualify for the free “We Do” wedding package, but must pay the licensing fees of $250 (subject to change). You can enhance your special day further with a wonderful selection of memorable wedding packages, such as: “Pure Elegance”, “Melody of Love” and “Irie Love” to name a few. 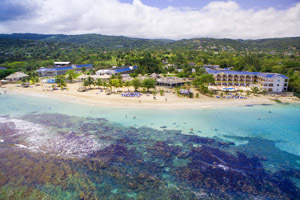 Tucked away on the finest expanse of beach on Jamaica’s famed north coast, Breezes Runaway Bay Resort & Golf Club by SuperClubs remains one of the Caribbean’s truly great all-inclusive escapes. With 264 recently refurbished rooms set on more than twenty-two oceanfront acres, active couples, singles and adult families journey to this popular SuperClubs favorite year after year to kick-back and indulge in countless interactive games and activities including golf, tennis, water sports of all kinds and even a circus workshop complete with flying trapeze and trampoline instruction, in a totally relaxed and socially interactive resort environment. Guests 14 and older are welcome. The perfect place for romance, active couples will find it the perfect backdrop for a beautiful wedding, intimate honeymoon and a lifetime of memories. 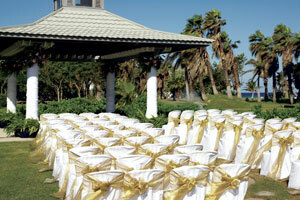 Weddings are free at Breezes (with a 3-night stay minimum), and experienced wedding coordinators attend to every detail. The complimentary wedding package includes services of wedding coordinator, choice of location, minister, marriage license, wedding cake, champagne, flowers, music and more! Note: Government & administrative fees are additional. NEW! Two exotic wedding gazebos are now available: a tranquil seaside gazebo and the garden gazebo set amidst beautiful tropical foliage. 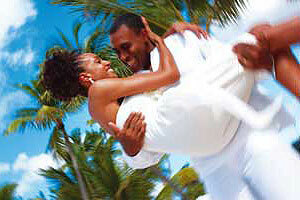 The hotel offers complimentary weddings with a minimum 3 night stay. Paperwork is handled by the resort, and couples can just relax and bask in the glow of pampered luxury with everything taken care of for them. For couples wanting the most picturesque venue for their nuptials, Breezes Runaway Bay has created a new Wedding Chapel right on the beach. The Victorian inspired chapel provides the perfect setting, with spectacular ocean and beach views, for wedding or vow renewal ceremonies. With space for a number of guests and the entire bridal party, couples will enjoy beautiful memories and perfect photographs of their special day. Personalize your wedding and honeymoon with special extras like couple’s spa treatments and rose petals for your honeymoon suite! Government fees (approx. 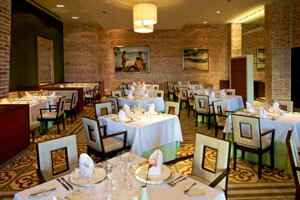 US$200) are additional, and are not included in the complimentary wedding package.